Why Doesn’t My Shower Work? Why Doesn't My Shower Work? | Frozen Riser Pipe Probably! 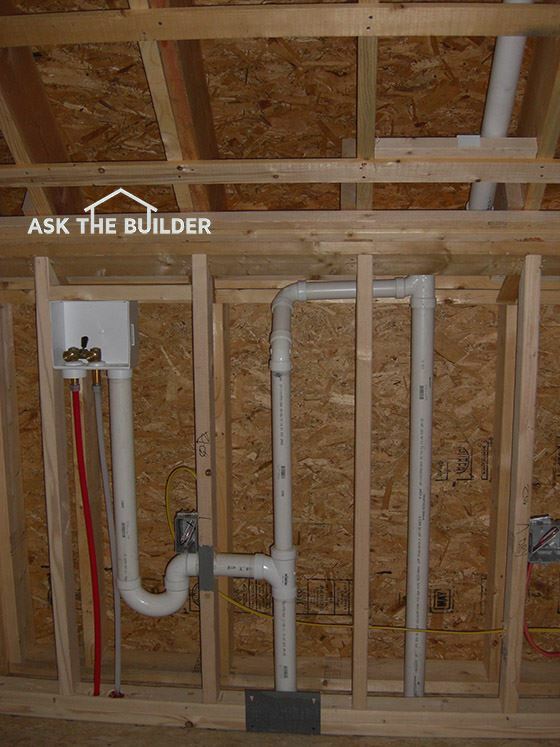 "A shower can stop working if the water pipes in the wall freeze solid. A polar vortex causes bitter cold air to drop down into the wall." Did your shower work yesterday? Are you experiencing a polar vortex shot of bitter cold air in your city or town? Your shower is not working because the vertical pipe that leads from the valve up to the shower head is frozen. The water lines feeding the valve could be frozen too. Why is My House COLD? How Can Water Freeze in the Riser Pipe? 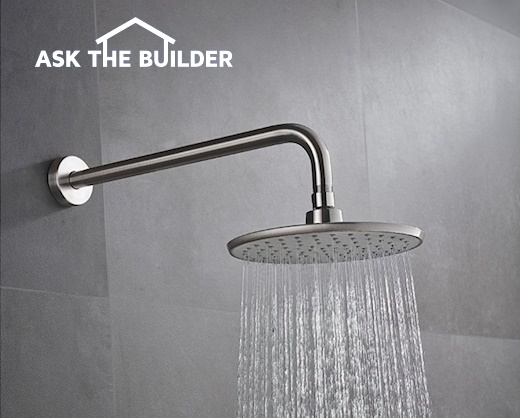 When you turn off your shower, there is water still in the riser pipe between the shower valve and the shower head. This water can't drain back through the valve. When it gets cold outside, your attic gets as cold as the outside and bitter cold air can drop down through holes in the top plate of the frame walls behind the shower. How Can I Thaw the Pipes? You need to get heat into the wall. This is not easy. Often your only hope is to wait for warmer weather and heat from the bathroom will naturally thaw the frozen pipes. The riser pipe between the valve and the shower head will not burst. The expanding water in the pipe forces water to drip out of the shower head. The water lines feeding the valve can burst. Now is the time to discover how to shut off the water in your home should a pipe burst and water start to flood out of a wall or ceiling. CLICK HERE to get FREE BIDS from local plumbers to fix your frozen shower. Can Electric Wire Holes Be the Problem? Yes, electricians drill holes in wall studs and wall plates to run their cables. If those holes are open to the attic and were never caulked closed, then cold air can pour down into the wall and freeze any water in the pipes. What Can Be Done to Prevent the Freezing? The holes and gaps in the top plates must be caulked tight so no air can flow down into the wall cavity. You'll have to wait for warmer weather to do this.